Make your own cannabis edibles! Are you curious about using cannabis for wellness? This is for you! In this three-part "Cannabis for Health & Wellness Series," you will learn how cannabis can enhance your health with topicals and edibles. We'll cover all the essentials and answer all your burning questions like, "Will I get high?" or "Will I test positive? 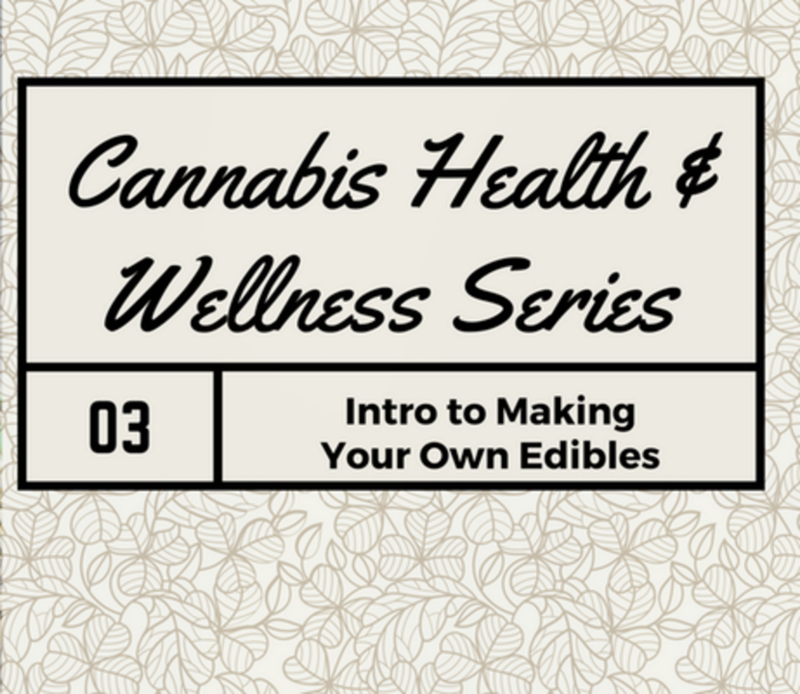 "In the final class of this three-part series, you will learn the benefits of consumable cannabis for medicinal purposes and its effects on our body's endocannabinoid system; understanding the process of decarboxylation; basic techniques including how to make canna oil and canna butter; how to determine dosage; recipe conversion and the creative ways to infuse cannabis into all dishes (not just brownies!). Lastly, we will cover raw vs. cooked cannabis consumption and the health benefits of cannabis green smoothies. Every student will leave will a treat bag!This is a non-smoking/non-consumption event. Ages 21 and over only.